Draw attention to your jewelry with the Venus Hand Display. 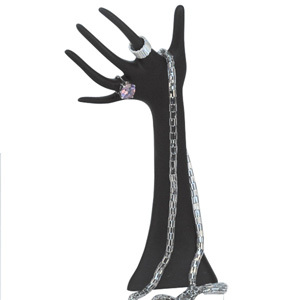 This hand display stands 13" tall and is great for displaying rings, bracelets and necklaces. Made of rigid, durable, molded polystyrene.